I have always admired the AirAsia T-Shirt worn by my fellow AirAsia Bloggers Community (AABC) friends. So chic and trendy. Then I learnt that the T-shirt is being sold for a campaign themed #AirAsiaMAKNA - a campaign to create a wider awareness on cancer. This campaign resonates dear to me as I also has been sharing information on various types of cancer (breast, ovarian, testicular) on my blog. On October 18, 2015, AirAsia presented a total of RM120,945.64 to the National Cancer Council (Majlis Kanser Nasional @ MAKNA), the proceeds of the T-shirt sales. CEO of AirAsia Berhad, Ms Aireen Omar presented the mock-cheque to Ms Farahida Mohd. Farid, MAKNA General Manager at Fahrenheit88, the venue sponsor. Among the good looking stewards and stewardess present, I spotted a few local celebrities during the event. The likes of Chef Nik Michael, Miss Thanuja (she was the emcee of the event), the amazing actor Ungku Ismail (travelling beruang anyone) and Sasha Saidin (Princess Elsa of Malaysia) were present on the event. Miss Thanuja mentioned that the local artistes were also among those that contributed to the large funds raised via the campaign. Ms Aireen Omar said, "According to published statistics, 1 out of 4 Malaysians are affected by cancer. AirAsia wanted to play a part in educating the general public about early prevention as well as to give back to the community we serve. At every #AirAsiaMAKNA sales location, MAKNA was there to provide information and guideline to the general public, encouraging them to learn and help those in need. In addition, we also leverage on our social media strength to disseminate simple crucial information about cancer. This has been well received by the members of the public. "MAKNA has done an amazing job in helping cancer patients nationwide for the past two decades and we hope that the funds raised through this #AirAsiaMAKNA campaign will help them to continue the great work they are doing" she added. There were cancer survivors present during the event and they all come in different gender, race and ages. I was on the edge of crying when I saw a little girl (I think she is 4 - 5 years old) standing together with other fellow survivors, signing peace while taking pictures. As per mentioned during the forum with the survivors, having cancer does not ends one's life. Braving each day is a bonus and having a tight group support helps the survivor to move on with their daily routine. One of the survivors asked Ms Aireen the policy of having cancer survivors on board of AirAsia's workfoce family as most companies will turn down anyone with a health problem. Proudly Ms Aireen urges others to follow suit what has been practised in AirAsia as they are a few cancer survivors that are currently serving with AirAsia. Ms Farahida, General Manager of MAKNA said, "This campaign is not just to raise funds, but also awareness. It enables MAKNA to reach out to more people and spread much-needed information. The more we talk about cancer, the more people understand and are empowered to take ownership and better care of their health. With this campaign, AirAsis has not only demonstrated its social consciousness, but also further established its innovative, can-do spirit. MAKNA is honoured to have AirAsia join us in our cause." MAKNA aims to mobilise resources in order to provide curative, preventive and support services to cancer patients, their families, high-risk groups and also the public. It is the organisation's mission to fight cancer and reduce related pain, morbidity and the suffering that the cancer patients undergo. Prizes were also given to the winners of the Instagram contest that AirAsia launched where the public who has purchased the T-shirts can upload their most creative photo donning the cabin crew or pilot T-shirt with the hashtag #AirAsiaMAKNA. Ms Aireen handpicked the two lucky winners who won a pair of flights each to Maldives or Sapporo! The winners are @shaarin and @suzanekassim. 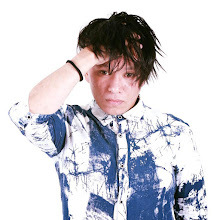 Another winner was also selected as the consolation winner is +Lan Careno ! He won himself a pair of flight to Langkawi. During the event, I learnt that AirAsia is super-committed in this cause as it also teamed up with Media Prima to support the "Travelling Beruang" campaign - a campaign to raise public awareness about children with cancer in Malaysia. Ungku Ismail is the ambassador of "Travelling Beruang" campaign and they both are travelling around the world to be the ears and eyes of the children with cancer. The "Travelling Beruang" is available for purchase on board AirAsia flights for only RM65 and all proceeds are channeled to MAKNA. So, be kind and donate as our donations gives Meaning To Life. Special thanks to AirAsia for making me a part of great community, AirAsia Bloggers Community (AABC). To be part of the movement, follow AirAsia's Twitter and Facebook. I like the female version better. Great that they managed to raise so much for a good cause! i like airasia too.. remind me to buy a ticket for my bil . here i go now. Yes. It was for a very great cause. So smart the Airasia staff. But congrats to them for raising the fund and help the poor. thumb...thumb to them. Good to hear they give back to community too! sangat berMAKNA ! Thumbs up to AA. AA and MAKNA are both doing something meaningful. Good work. There even have the Travelling Beruang rite?? That's so cute!! Really bermakna LOL. This is a good event. nice that you're a part of AABC. and for a good cause too. 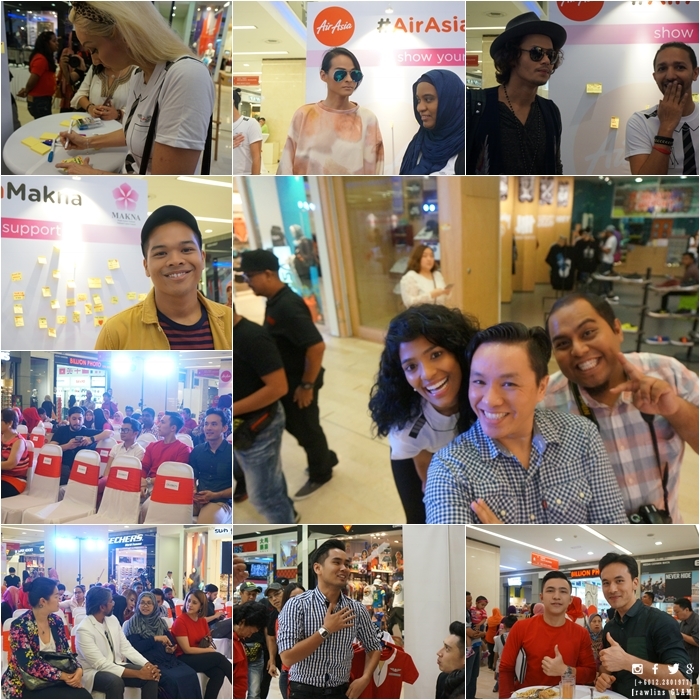 This is a very thoughtful event by AirAsia and supported by so many people. Yes, Travelling Beruang is coming up. Let's support it together. Get the Beruang and support the cause. Plus the Beruang is cute too. For a good cause and looks good while wearing the shirt too. And the cause is very close to my heart too. Let's support the cause and spread the positivity.